In this very special edition on our Edulastic Live series we met with VP of Product and Co-Founder Aditya Agarkar. 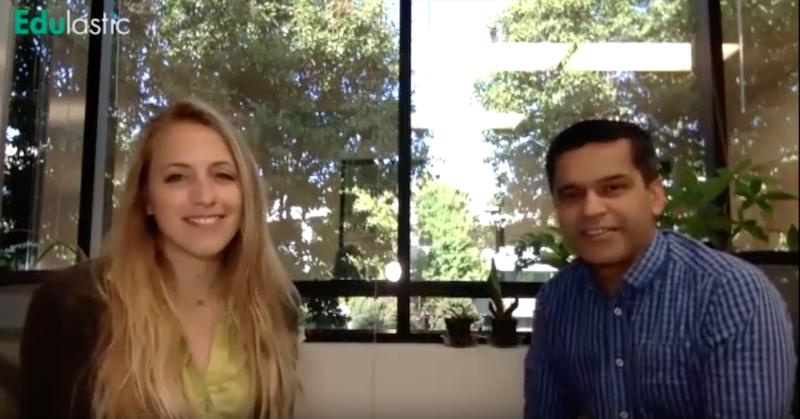 Aditya has been with Edulastic since day one and so during this interview it was awesome to learn about how Edulastic began! We hope you enjoy diving into the history of Edulastic, the challenges, the evolution, and we’ll also learn what Aditya likes the most about Edulastic and what he does on a day-to-day basis as VP of Product. Note: This interview has been edited from the original transcript for concision. We’ve included the original video interview at the bottom of the page. Edulastic: Welcome to Edulastic live! I’m joined today by Aditya Agarkar who is the Co-Founder and VP of product here at Edulastic. Could you tell us a bit more about yourself? Aditya: We started the company back in 2011. It was known as and it still goes by the official name of Snapwiz—and Edulastic happens to be one of its products. When we started, our platform was being used by a lot of publishers such as McGraw Hill and Wiley, who were looking for a K-12 product. We also talked to a lot of publishers like Cengage. This was back in 2014 when Common Core was just about to be introduced, and I think we were in the right place at the right time. There was a lot of confusion about what was going to be, and our initial thrust into tech-enhanced assessments is what got us into the education space. Edulastic: Thanks for the general overview. Can you tell us a bit more about what creating Edulastic looked like in the beginning? Aditya: When creating any company, I think the major challenges are the trade offs; so many things can be done, but you need to make sure to get the minimum for the company to get started and get initial users. You have to establish the value of the product almost immediately, and that’s one of the biggest challenges of any company. I think the main thing that we wanted to do with Edulastic—and I think we have succeeded to a certain degree, although there is always room improvement—was to establish value of the product within five minutes. That’s the goal we pursue: within five minutes, a teacher should be able to create an account, get the students in, create their first assessments, and administer it. And if students are right there in the class, you can get immediate data. So quick establishment of the value of the product is the goal we pursue. There is always room for improvement, be we are gradually trying to get it down, establish value even sooner, and show the rich content available early on. Edulastic: So what did the rollout look like? What did Edulastic look like in the beginning and how does that compare to where it is today? Aditya: If you have seen some of the screenshots from 2014 to where it is right now, the application is completely unrecognizable. We have changed practically everything. One of the lesser-known things about our rollout strategy is that we not only add features but we also remove them. Sometimes we get pushback from our users because we remove things or change features. I think like any house that is clean, neat, tidy, and easier to navigate; you have to remove the clutter, so that’s one of the things that we do. We try to accommodate the fundamental need through new and improved features, but sometimes it does take some getting used to; the learning curve is a bit steeper… I think that in any product rollout, that’s always a challenge: how you get the initial value established and how do you make sure that the customers use it day in and day out, and get used to it. Edulastic: So you are in a great role, working on the product and getting to the point where it brings value to teachers lives, where teachers find useful in their day to day. How did you get into product management, and what do you like about it? Aditya: I don’t have a teaching background or an education background. I come from the enterprise software world—I spent a number of years at Oracle. I think what I like, and the reason why I got into management, is because you get to influence a lot of things– not only the technology, but also the content, the user experience, sales, marketing… it’s a variety of things, and I like that role. Everyday there are new challenges. The main one is that you can always do something better or nicer, but you are going to upset either the engineers because they have to now redo everything, or some of the users who were used to doing certain things in a certain way. You might upset sales and marketing because we had promised certain things… so managing that trade-off, making sure you are not upsetting too many people is the challenge. Edulastic: What do you like most about when you’re doing your day-to-day work? Whether it is working on the product, listening the people putting things into play… what are you doing every day? Aditya: A typical day begins in the early morning with looking at the status of all the support and technical things. Specifically monitoring user experience– making sure that our users are satisfied with the product is the number one goal. Even before acquiring new users, new sales, or new opportunities, keeping the existing users satisfied with the product is number one. Then I follow up with my engineering team almost immediately. If there are any things that are more generic in nature, impacting a lot of users, that’s first priority. Then we focus on the status of the new things we are working on. So start out the day with what has happened and what is going to happen, followed by some near-term of what we are going to do in the upcoming weeks and months. Then look at all the new features, looking at what the general trends in the industry are, reading up on that, looking at the data in terms of how users are engaging with the product. Doing that kind of data analysis is extremely important, I spend a lot of time on that. Afterwards, it’s more generic long-term trends, what is shaping up in the industry from a technology standpoint, from a general trend standpoint… that usually happens during the later part of the day. Then customer support winds down as teachers’ work winds down, so I can start thinking about more the longer-term. Edulastic: It sounds like a big mix of research, of listening, as well as bringing things in action and coming up with a plan! Aditya: Yes, absolutely. I spend at least a couple of hours every day talking to users to know what’s happening with our customers. I make a point to read practically every support ticket that we get. Edulastic: That’s cool and that’s such an important part in moving Edulastic forward. What challenge do you come across and how do you usually get past them? Aditya: I think the biggest challenge is, again, managing trade-offs. There are so many stakeholders in the product, all the way from engineering, to finance, to sales, marketing, and to—most importantly—the people who are actually using the product. And at certain times, because of technology or because of various challenges in the ecosystem, you can’t keep everybody happy at all times. Managing that is I think the biggest challenge. Edulastic: And now, thinking about Edulastic, what would you say is your favorite part about it? Aditya: One of the things I regularly track is how many assessments are being created everyday. It is a like a hockey stick growth. We compute the number of times students have taken an assessment in a given single day, and that number has grown by close to 300 percent year over year. That’s a phenomenal amount of work and growth! Edulastic: I’m sure that’s something teachers and educators like because the more people are creating assessments and adding them to the library, the more resources are available to everyone. It’s really great to have that collective resource overall and also to see that number go up. I know it’s a great product, so I’m happy to see that’s happening. And then, in terms of Edulastic itself as a physical product: what’s your favorite part? Is the reports? Is it the dashboard that teachers see? Is that the question types? What do you think is the coolest? Aditya: I think the coolest thing is the live class board. I had a lot of fun designing it in the initial phases. It’s almost one of the features of the product that remained after making all kind of changes, and I don’t think we’re going to mess with it. That’s definitely one the most useful and quickest way to establish value to any user. You don’t have to talk about it, you just show it. Edulastic: Here’s a fun question I like asking, especially with a lifestyle that can be pretty hectic: how do you manage your workload? Are there any tips or tools that you use? Are you a list person? Do you really hold tight to your calendar? Aditya: The calendar, although I’m probably not very disciplined about it, is one of the most important and useful tools. As for managing work, structure of the day is really important. I start off with scheduling the things that need immediate priority, like looking at the support and engineering related things. People who are working right now and here are the first priority, followed by what we are working on now and in a few weeks or months. Then comes the longer-term, which requires a little bit more quiet time to think. I try to schedule that for the later part of the day. Edulastic: If there’s one thing that you wish everyone knew about your role and what you’re doing it at Edulastic, what would it be? Aditya: I’d like to say that I probably know every nook and cranny of the product. I’ve been involved in the design of it, internally how everything is supposed to work: how the data is being stored – how it’s moved around… I think I would probably say I know quite a bit about that. Edulastic: Awesome, so if you’re talking to Aditya, you’re talking to the expert! 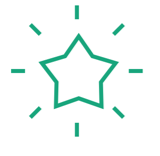 What would you recommend for the teachers who are interested in getting started with Edulastic, as a product expert? Aditya: I think one of the easiest ways to get started is if you’re using Google Classroom. That’s a very popular product, because anybody with a Google account and ability to follow the steps can get easily sync their Google classroom with Edulastic. Edulastic has a lot of content that is ready to use, pre-built assessments. I would highly recommend if you are a new teacher and especially if you have a Google classroom, try the Google classroom sync, and use one of the standard assessment already available. Just get started, and within a few minutes you will start seeing the data stream in on your live class board. Five minutes to walk, that’s our mantra! Edulastic: I feel like that’s the theme of today. Just five minutes to get going and see the value it brings to your classroom. What is your vision for Edulastic, moving forward? Aditya: Organizing assessment is still a challenge. I think some of you may have noticed we have tinkered around with folders. It’s still a work in progress. We have barely started, and I think our goal is to make assessment organization better, and more aligned with the curriculum. If you are teaching a unit or module aligned to the curriculum, you should be able to find the assessments for that unit or module very easily. So organizing assessments and bringing it closer to curriculum is the vision of what we want to do. And making smarter use of data is another thing– just presenting data in a bar graph, or line chart, or table is not enough. I think we need to add more insights to it and that’s another vision we have. The third thing is always the same: making it ever easier to use. This is something we always keep trying. Edulastic: What’s your favorite time of the year and why? Aditya: I think my favorite time of the year is right now, actually. (October!) It’s neither too hot nor too cold. The craziness of back to school has abated to a certain degree. So now it’s time to start looking at next year: what are some of the things that we are going to do? What are some of the new features? It’s when I start thinking about what next year might look like. Edulastic: Exciting! And now some more personal questions to get to know you a little better! What do you like doing for fun? Aditya: I’m very into hiking and photography—they go hand-in-hand. I probably hiked in most continents. Hiking, and especially long backcountry hiking, is my favorite thing to do. I try to do at least one trip a year. I went to Sierra Nevadas this July and that was a fun trip. It was the John Muir Trail. I obviously didn’t do the whole trail, but a section of it for about four days. Edulastic: Wow, that’s an awesome experience! And what is a little-known fact about you? Aditya: I hate potatoes! Including french fries! I think that’s one of the universally liked food but somehow I don’t like it. Sweet potato are okay. Chips are fine provided they’re flavored. Barbecue chips are probably okay, jalapeno chips are okay… the farther away it gets from potatoes, I think they are more palatable. Once somebody served me some potato ice-cream, ever heard of that? So here’s the thing about potato: it has no flavor of its own. If you add the right flavor and sugar, well it will taste like that. Edulastic: I had purple yam ice-cream once. Wait, was it yam? I’m not sure anymore. Ok, and what’s a hidden talent that you have? Aditya: I’ve started doing a lot more of these Photoshop activities like basically digital art. My daughter is also into it, so we do some together. I wouldn’t necessarily say hidden talent because I haven’t done anything spectacular, but it’s one of those things that I’m developing for now. And it’s somewhat related to the photography activities that I’ve been doing for many years. Edulastic: You’ll have to share some! And then what’s your favorite question type and why? I always like finishing with that question. Aditya: It is one of the least-used question types, and it’s called pictograph. The reason I like it because it has immense possibilities. One of the reasons it’s not used much is because we haven’t educated people enough about its possibilities. But it has great potential if you want students to think in a more open-minded way, while still having the autograding function. It works great if you want to create a statistical model where you just create some weight for each of the classes, then you can evaluate what kind of probabilities might exist in a problem. Edulastic: Well now that you’ve mentioned it, I think we know what an upcoming blog post ought to focus on! It’s been a great conversation, thanks so sitting down to chat today!